Fighting Irish Thomas: Renew America is now Renew America Together? I smell a "RAT"
About a week ago when I was surfing the Net about the upcoming "Big Event" (the Inauguration of the Obama-nation), I stumbled across the news that President-elect Obama, with the help of ex-Secretary of State, fair-weather Republican, and now (another) Barack black friend, Colin Powell, announced Obama's next new thing, a shining nationwide volunteer initiative—eerily called Renew America Together. After my initial shudder from discovering the Obama "team" had chosen (or stolen as the case may be) a name so close to that of our beloved Web site's for a project that in the end remained at cross-purposes from our own, I chuckled a bit at how apropos yet hilarious the acronym for their hapless organization was. "At least our acronym means 'hooray!'" wrote Renew America's editor, Stephen Stone, commenting on the birth of our new rival RAT. And, while we know what R-A-T (and you're telling me none of the brilliant liberal brains in the Obama camp caught this one?) spells, what exactly does the Obama/Powell RAT project stand for? Looking up its Web site, USA Service.org, and searching out the Chicago get-togethers from the literally thousands of listings nationwide, I found the usual suspects of pitch-in proposals, with a few questionable gatherings thrown in. Besides the typical "feed-the-less-fortunate," "clean-up-the-community," and "put-a-senior-to-sleep" choices (okay, I made the last one up! ), there were a few perhaps too liberal even for Obama events as well. While the "Inauguration Celebration at Fitz's" ($5 cover includes an inaugural glass of champagne!) and the "Barack N' Roll" (which advertised "good music and mainly important topics covered") seemed dubious contributors to the great campaign of change Obama proclaimed, my favorite was the "Marijuana Policy Project" taking place at good ol' Ben Powell's house. However, I am sad to report that shortly before this article was published, the MPP, despite the fact Ben and friends promised it would only explore the use of medical marijuana, was pulled from the RAT Web site. Whether they were "weeded out" since the pot they were smoking wasn't, in the strictest sense, medically prescribed, or were busted merely because Ben wasn't exactly related to Colin, we probably won't know until the less famous (if now more infamous) Powell is out on parole. The RAT credo, which Powell (Colin, not Ben) says, "calls all Americans to serve their community and their country," did display events hosted by groups as racially and/or religiously diverse as the "Association of Physicians of Pakistani-descent of North America," the "National Korean American Service and Education Consortium," "Family Mitzvah Day at the JUF Cafe" (which sports "Chicago's first kosher anti-hunger program for the needy")—but nothing with a title either "Evangelical" or "Catholic." True, there was a listing for a "Prayer and Intercession" session, which purports to "Thank God for his goodness and mercy," and, "will ask God for wisdom, strength and guidance ... for our president." That's all well and good, but it strikes me as more of the same of Obama's unique brand of Unitarianism, heavy on Jesus' mercy but with none of His judgement. Absent from the list is anything to do with the causes of pro-life, traditional marriage, or freedom of Christian speech in the press or public square—in other words, nothing that Renew America holds sacred. Thus, Renew America Together reveals itself as nothing but a secular, if not Satanic, mimic of the organization whose name they borrowed and then botched. Just as I am far from a neutral observer of the upcoming Obama administration, I am also not a casual commentator when someone plays the "steal the name" game. Shortly after publishing Champions of Faith, my inspirational book about Catholic athletes and coaches, another group, without so much as an e-mail or phone call, came out with a DVD also entitled Champions of Faith, which depicted the lives of Catholic baseball players. Yes, my title was not copyrighted, so maybe what they did was legal. In any event, I did not then have the "lawyers, guns and money" (as Warren Zevon would say) to challenge them. But legal does not always equal moral, as Obama and company, whether it be the abortion question, the gay rights/marriage issue, or the Democrats' chastising, then championing the old insider Burris when they realized a special election would cost their party a Senate seat, has proved better than anybody in the history of our country. 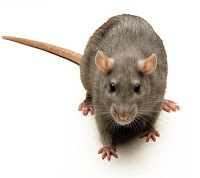 And so, while it is up to Stephen Stone if he feels he has enough to sue Renew America Together over the name, at the very least, I say we should ridicule the RAT moniker until they relinquish the name freely. In the meantime, I've been thinking about a title that more accurately reflects their mission. Perhaps we could change "RAT" to "REACT," which, as you may have guessed, stands for "Removing Every American of the Christian Tradition." At least maybe then every hoodwinked U.S. citizen who professes to follow Christ would finally realize what they're up against.